It’s been reported that Speaker Ryan is going to speak to a room full of manufacturing leaders at the National Association of Manufacturers (NAM) today. Ryan’s office is billing as his first major address on tax reform this year, and that Ryan will participate in a question-and-answer session afterward. Paul Ryan has zero experience with manufacturing. There is not one instance of Ryan ever holding a job managing manufacturing operations tasked with competing against local or foreign manufacturers. Why is it you don’t support President Trump’s 15 percent corporate tax, and instead prefer to cap the rate at 25 percent? Could it be that your large multi-national American donors can afford tax accountants and tax attorneys who will reduce their firm’s effective tax rate to below what small and mid-sized firms will eventually pay? Why should countries who already buy more from American manufacturers (our best foreign customers) be subjected to your Border Adjustment Tax (BAT) the same as countries like China, Germany, South Korea, Japan, and Taiwan who are the real trade deficit culprits according to this report by the Treasury Department? If your Border Adjustment Tax were to by some miracle pass (which it won’t) how would you ensure small and mid-sized non-exporting American manufacturers aren’t preyed upon by large American exporters utilizing the 20 percent rebate you’ve baked into the BAT? Why don’t you see it as your job to tilt the playing field in favor of Wisconsin and American workers than to constantly suggest we need to level the playing field with foreign workers? Does Paul Ryan realize that foreign manufacturers will flock to the U.S. when the Corporate tax rate is dropped to 15 percent? Does Paul Ryan realize that the engine plant that left Kenosha for Canada did so because the tax rate in Canada is 15 percent? Does Paul Ryan realize that the GE plant that just announced it is leaving Waukesha is doing so because Canada offered $2B and a 15 percent tax rate? Canadian workers are inferior to American workers. I can say so with authority because I closed a Canadian factory in 2015 while with Neptune and brought those jobs back to America—more profitably I might add. While with Tyden and SPX, I moved Mexican and Chinese factory jobs back to the U.S.—again more profitably. I’d do so again in a heartbeat. The Speaker’s office last week said Ryan chose to give the speech at the NAM conference because one of his goals is to encourage companies to bring jobs back to the U.S.
That’s odd. Then why would you refuse to do the one thing that would drive that more than any other, reduce the Corporate Tax rate to 15 percent like President Trump suggests? “We want tax reform now. We think it’s really important,” said Dorothy Coleman, vice president of tax and domestic economic policy at NAM. The Hill reported that she added that it’s becoming increasingly apparent that the U.S. tax code is holding businesses back. It is very encouraging: NAM is one of several prominent business groups that has not taken a stance on the border adjustments proposal. NAM should take this opportunity to reject the BAT and endorse President Trump’s 15 percent Corporate tax. That’s just, as my grandfather would say, hogwash. Paul Nehlen is not another lifelong politician, but a business executive and inventor. Nehlen started out on the factory floor, and through God’s grace, grit, and determination rose to lead Fortune 500 manufacturing businesses around the world. 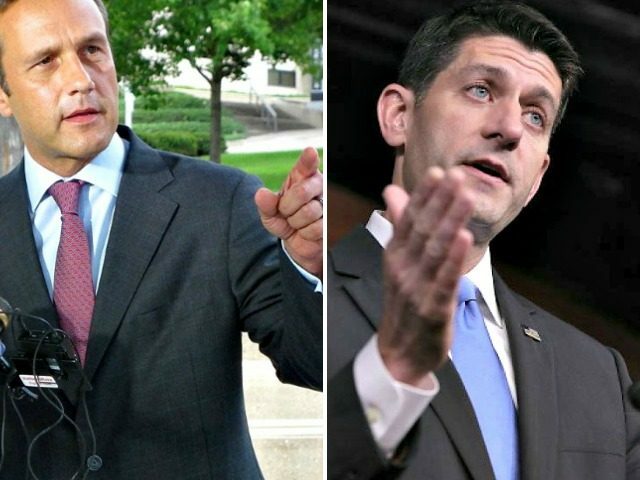 Nehlen challenged Speaker Paul Ryan in Wisconsin’s 2016 First Congressional District to stop Trans-Pacific Partnership and secure America’s border. Today he is waging the battle against the refugee resettlement racket and leading the cause to fight for America’s values. Nehlen has announced he is challenging Ryan in the 2018 Wisconsin First Congressional District primary. He lives in Delavan, Wisconsin.